What do you get when you cross a sea monster, a castle, a school of dolphins, and a whole lotta whisky? You get a holiday with Jon Beach, proprietor of Fiddler’s. With four days between my month-long internship at Bruichladdich and Whisky School at Springbank, I figured I’d get a little sightseeing in around the mainland. I thought I’d visit Edinburgh’s Royal Mile, check out the Kelvingrove Art Museum, or maybe ride the Hogwarts Express. Then I got this message from Jon Beach, proprietor of Fiddler’s. Come on out to Drumnadrochit, he said. I’ll put you up. 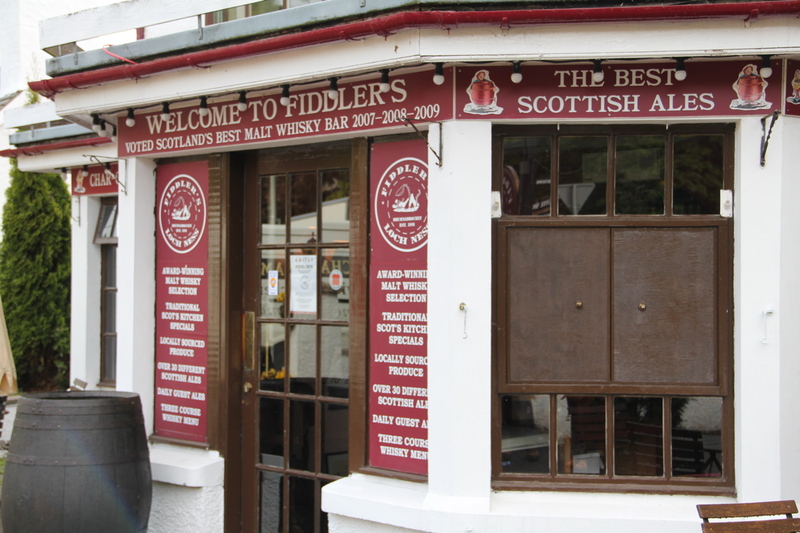 Fiddler’s has a reputation as a fantastic whisky bar on the shores of Loch Ness, and Jon (@maltwhiskybar) is just about the most prolific tweeter I’ve ever met … but still, I had no idea what to expect. 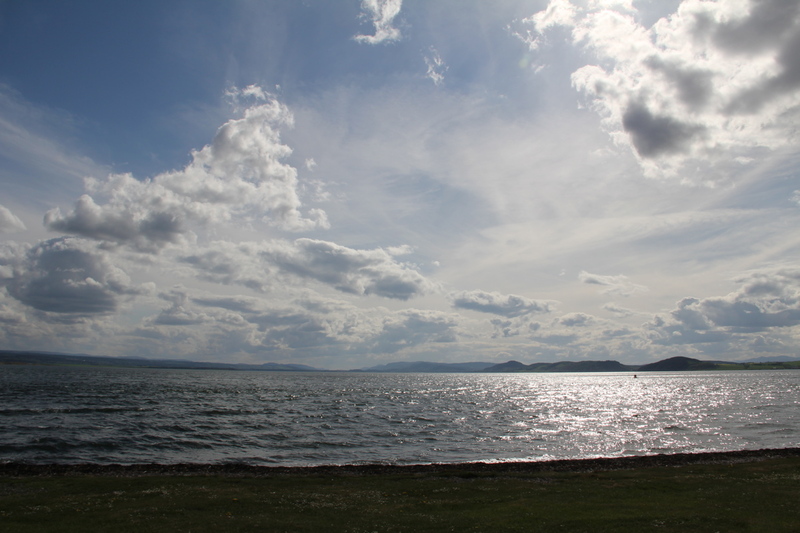 We arrived around sunset in Drumnadrochit, a wee village that wraps around a small inlet of Loch Ness. Everything looked asleep—that is, everything except Fiddler’s, which was bustling. Inside it was cozy, with lots of people at glossy wooden tables and a modest hearth, and Jon greeted us with cheer and a beer. He was much too busy to chat, but he sat us down and made sure we were fed (haggis and venison stew, of course). 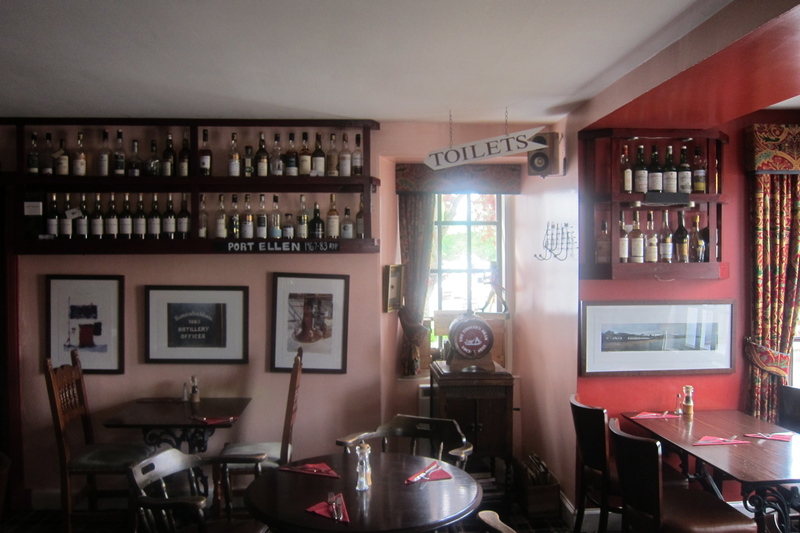 The bottles line the walls and the list is plenty long, but my eyes caught the collection Port Ellen. He had all 10 annual releases along with at least ten other bottles. A month at Bruichladdich not enough peat for you? Jon asked with a laugh, and so we let him decide for us. That was the beginning of my Highland whisky weekend. After all that peat and smoke, the delicate, floral drams that Jon started us on were a revelation. I had forgotten that whisky could be so light on its feet. 9:30 comes awfully quick when you’re hammered, but Jon was bright as an arrow the next day. 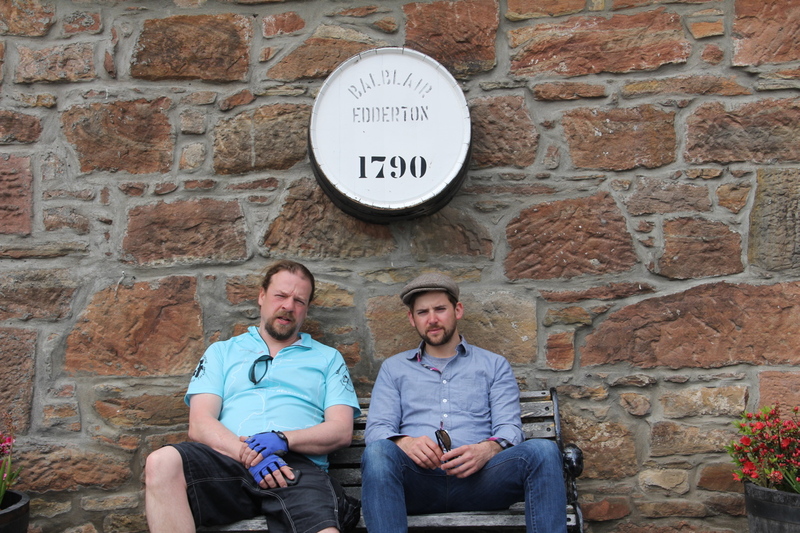 That was the start of our personal Highland whisky tour. We started at Inverness, where we stopped for whisky-flavored chocolates that would go to Jon’s mum in Dornoch. Then it was a tour of Baird’s Maltings, which deserve a posting in their own right and will be treated later. 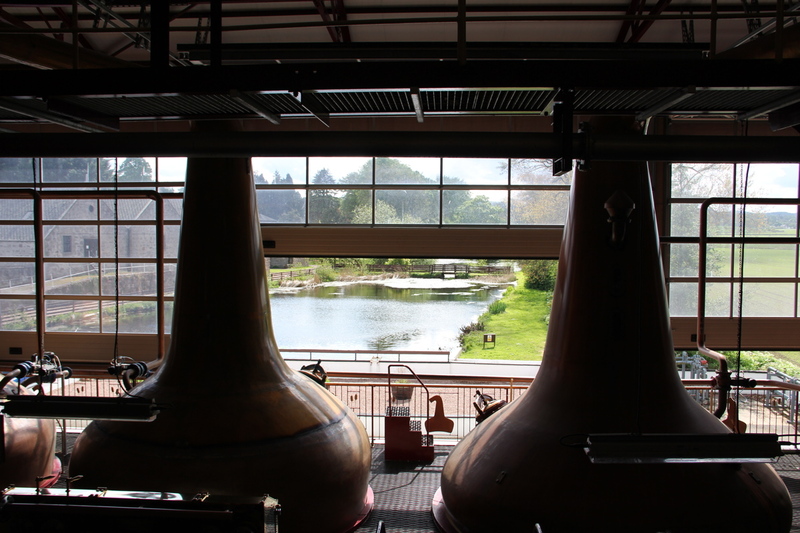 After the maltings was Royal Brackla, a stunner of a rural distillery and the most spotless operation I’ve ever witnessed. Then we stopped in at Anderson’s, Jon’s favorite pub, where Philadelphia native Jim Anderson (twitter handle @anderjim) told wry tales and poured us a dash of Highland Park 37 year old. I thought we were finished, but Jon said, “Let’s drive out to the point. It’s just about time to see the dolphins.” So we drove a couple miles to the beach. The view was really something, with the churning waves and the pink sky, and I figured it was all a tall tale about the dolphins but I was happy anyway. And then I saw them—a fat school of them, arching through the air on their way to the sea. They only make this journey once a day. Jon Beach is a hell of a tour guide. After meeting his mum and his two little girls (both in matching red checked dresses and just about the most adorable pair of children you’ve ever seen), Jon took us out to our lodging for the night. He had called in a favor to his friends Phil and Simon Thompson, two brothers (and whisky investors, twitter handle @whiskeycollector) who own Dornoch Castle and run it as a hotel and restaurant. The night was spent in the hotel bar, which is in the oldest part of the castle and used to be the kitchen and scullery. We drank whisky and talked whisky with Jon and Phil — It’s one thing to drink incredible rare drams with two devoted whisky investors. It’s another thing to do this in a castle. Thanks, Jon Beach.